A crescent moon ring in real hammered silver. 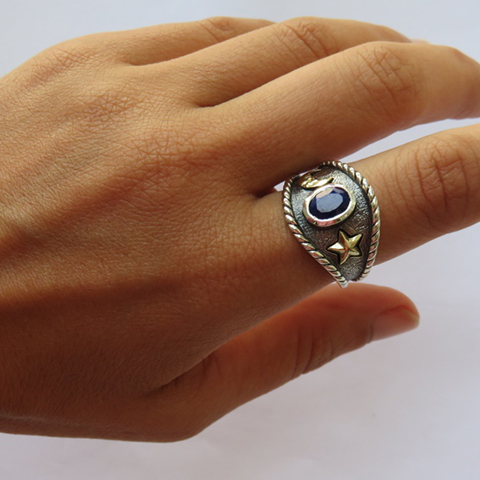 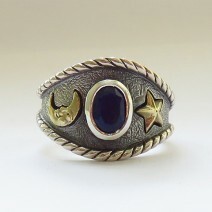 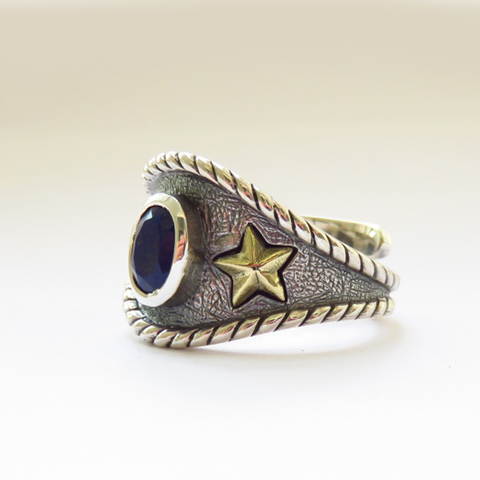 The beautiful blue sapphire stone is surrounded by a brass star and crescent moon symbol. 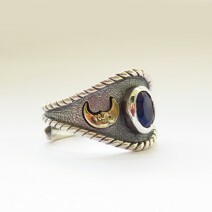 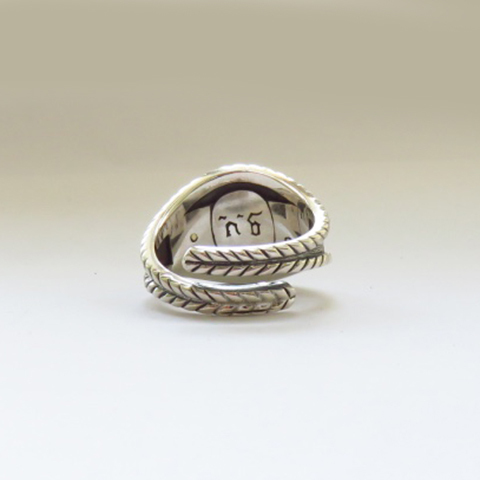 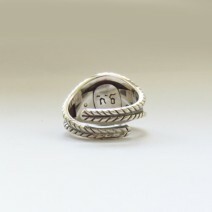 Adjustable for a comfortable fit, this Luna ring will compliment your outfit.